"You might think Russia is typically associated with vodka," says Bittner. "But in 1985, the Soviet Union was the fourth-largest producer of wine in the world behind France, Italy and Spain." The cultural embrace of wine helped establish Russia's civilizational pedigree -- or their "Europeanness," as Bittner puts it. "When Peter the Great came to power in 1696, he really wanted to establish Russia as a European Power," Bittner continued. "Embracing wine as a culture was how he attempted to associate Russia with European and Western Values." Although he studied Russian and Russian history at University of Michigan, Ann Arbor, and the University of Chicago, it wasn't until he moved to Sonoma County in 2002 that Bittner really gained an appreciation for wine. He decided to apply his newfound love of wine and wine production into his Russian historical research. "In summer 2008, I went to Crimea to do archival work," says Bittner, who is fluent in Russian. "I discovered that wine has an importance in Russia and Ukraine that it doesn't have here." "The United States has never experienced the same type of civilizational anxieties as Russia, so pursuing a more Western identity really gave wine that significance that it doesn't have here." 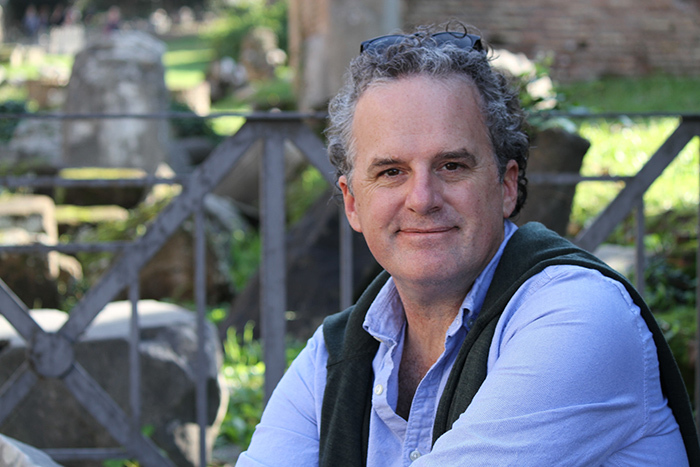 With the fellowship, Bittner will be on sabbatical for the 2017-18 school year to finish his book, "Whites and Reds: Wine in the Lands of Tsar and Commissar," which will be published by Oxford University Press. He was also awarded the NEH Summer Stipend in 2015 to do archival research on the same subject in Moscow. "It's been very interesting teaching at Sonoma State because there is a brain trust of faculty that works exclusively on wine," says Bittner. "I have learned a lot already and I'm excited to expand on this knowledge." Sonoma State University will be hit by an additional $2.3 million cut in its 2011-12 budget as a result of the triggers in the Caifornia state budget announced today by Governor Jerry Brown. Sonoma State University Philosophy professor John Sullins (far right) was recently part of a panel discussion on health care at a World Technology Network Summit honoring visionary thinkers across the globe in late October.